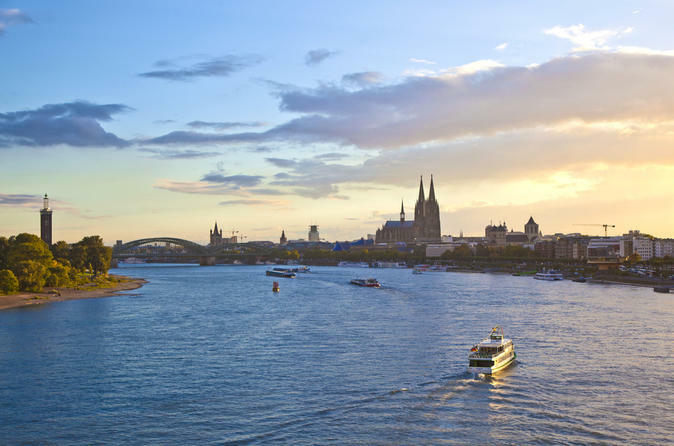 Enjoy a one-hour panoramic Rhine River sightseeing cruise and soak in the spirit of Cologne. 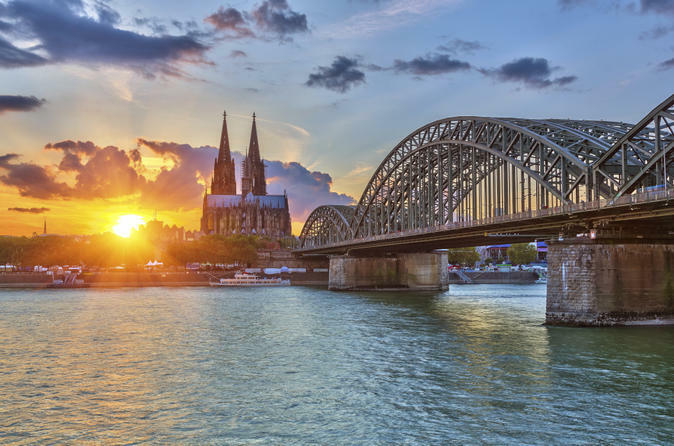 The Rhine River provides access to many of the city’s major attractions, such as Cologne Cathedral, and during your cruise, you'll see top sights and learn about Cologne's 2,000-year history from the onboard audio commentary. While you take in the beautiful city sights, enjoy a freshly tapped glass of Koelsch, a famous local beer available for purchase. If one hour simply isn't enough, upgrade to the two-hour nighttime cruise! 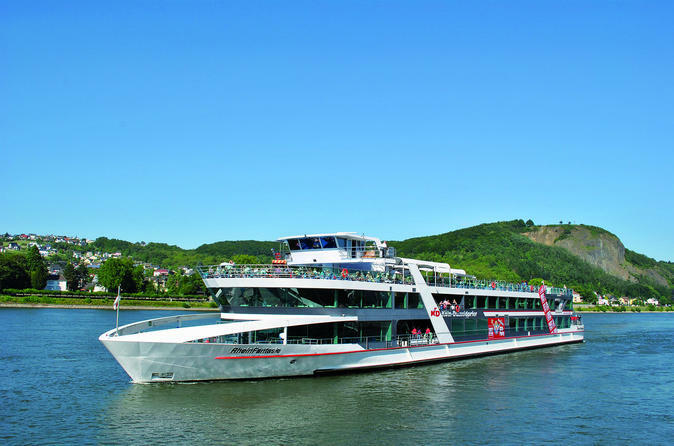 An easy way to start your romantic day on the Rhine: Present your KD ticket onboard any KD ship and enjoy all scheduled day cruises on the Rhine and Moselle rivers for one whole day. The extensive and reliable timetable enables you to disembark as often as you like at the many interesting stops, and spend as much or as little time as you would like. Enjoy a scenic Rhine River cruise from Cologne to the resort city of Königswinter, at the foot of the beautiful Siebengebirge hills. After a journey down the water that takes in sights of romantic riverside villages and hilltop castles, choose to visit one of two Königswinter attractions. Either visit the family-friendly Sea Life aquarium or ride one of Germany’s oldest cogwheel railways up to the famous Drachenfels cliff, topped by fascinating ancient ruins of Drachenfels Castle. 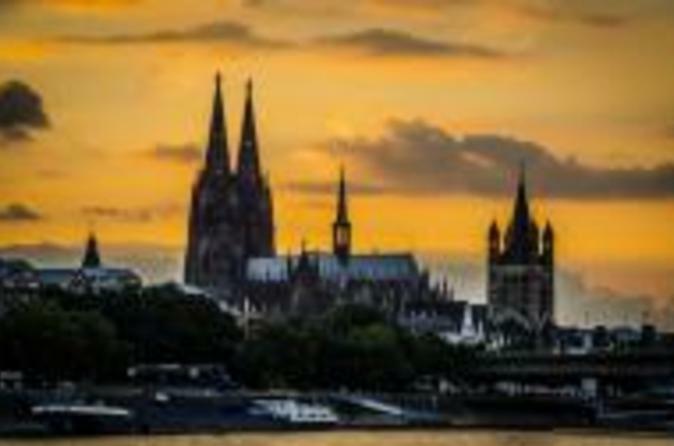 Explore the historical city of Cologne at your leisure with this hop-on hop-off bus tour and Rhine River sightseeing cruise. With a ticket valid for 48 hours, see top Cologne attractions such as Cologne Cathedral (Kölner Dom), the City Hall and the Old Town (Altstadt), and hop on and off the open-top bus at any of the 16 stops to create your own personalized sightseeing itinerary. Complement your bus tour with a 1-hour Rhine River cruise to witness the medieval city’s intricate skyline and stunning Rheinauhafen district from the water. Combine a 1-hour Rhine River sightseeing cruise with a skip-the-line pass to eat at Hard Rock Cafe Cologne! 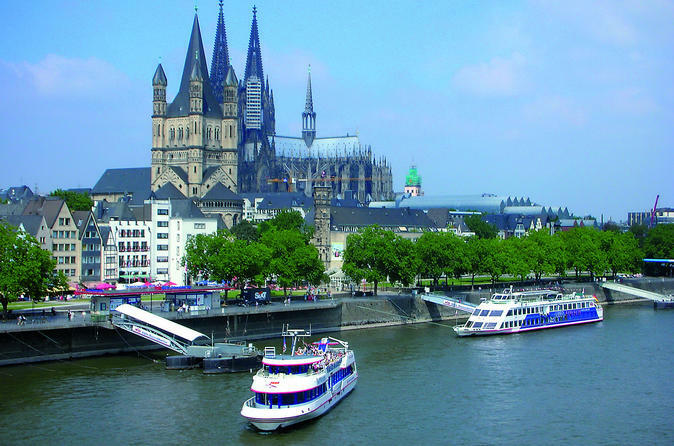 Simply select one of six start times for the cruise, and then relax on board, enjoying audio commentary about the route’s attractions, like Hohenzollern Bridge and Cologne Cathedral. Visit Hard Rock Cafe Cologne at a time that suits your schedule and, after skipping past the entrance lines, head inside to enjoy a 2-course meal. 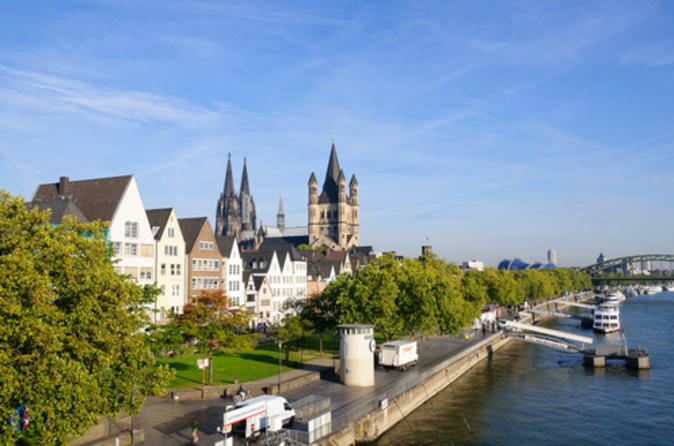 Explore the historic city of Cologne on this full-day trip from Frankfurt! 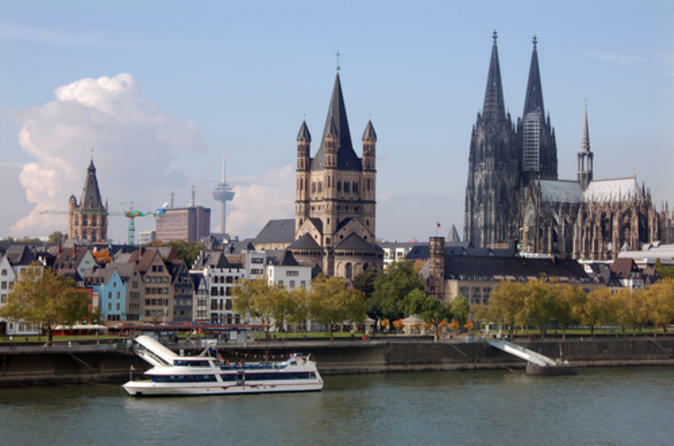 Travel by luxury coach to Cologne and enjoy a guided tour of the city. 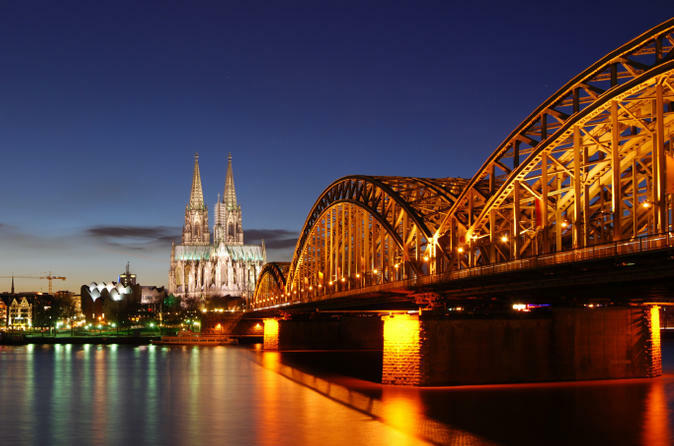 Visit the world-famous Cologne Cathedral (Kölner Dom), a UNESCO World Heritage Site. Explore the city's historic old town and enjoy free time to explore the local shops and do some independent sightseeing. Discover the city's Roman heritage at your own pace, including the beautiful Town Hall (Rathaus), and sample Koelsch, Cologne’s famous local beer! Then, immerse yourself in the picturesque medieval city of Limburg before returning to Frankfurt. Skip the line at the Hard Rock Cafe in Cologne and head straight inside to dine on its much-loved American-style food! 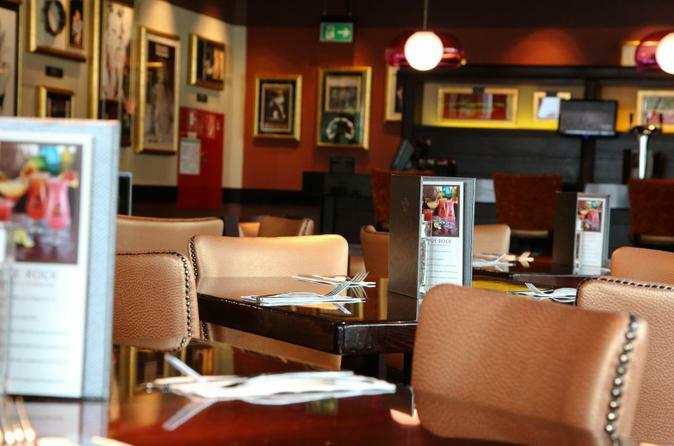 Choose from two different menus (either a 2-course or 3-course meal) and then sit back and eat, soaking up the atmosphere of Cologne, as well as seeing the rock ‘n’ roll memorabilia for which the Hard Rock Cafes are famous. See the Cort Axe bass that once belonged to Kiss, sunglasses worn by Elvis Presley and more, while dining in the heart of Cologne. Combine the beautiful cities of Cologne and Nuremberg and travel by national coach from city to city. Enjoy a comfortable ride in a modern bus and enjoy two nights in each city including a city tour in Cologne and Nuremberg.